Deborah Rosenberg (JFA – Rockville Potomac) Areas Served: North Bethesda, Rockville, Potomac Deb grew up in Rockville and Potomac. After she graduated from the University of Massachusetts, she returned to the area! She came back to Potomac in 2016 and is excited her kids will grow up here too. She spent 20 years in retail management and is currently home with her 2 young daughters which she calls full-time fun! 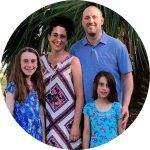 As a JFA, she enjoys meeting growing Jewish families and connecting them with others who live in the area and also introducing young families to all of the things our area has to offer. In her free time, she enjoys baking, skiing, and trips to the beach! Robin grew up in New York, attended the University of Rochester and Carnegie Mellon University, and soon after moved to the DC area. After first living in Rockville, she moved to Clarksburg with her husband and two daughters. Robin and her husband own a web design business and Robin also tutors high school students in math and writing. She belongs to Temple Beth Ami in Rockville. Robin thinks it is so important for new parents to connect with each other. 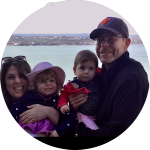 So as a family ambassador, Robin is excited to meet Jewish families in upper Montgomery County and connect them to each other. She plays the cello and is currently teaching her daughters to play. Amy Forseter (JFA – Bethesda Chevy Chase) Areas Served: Bethesda, Cabin John, Chevy Chase, Glen Echo Amy lives in Bethesda, MD with her husband and three children. 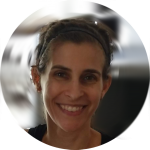 Following graduation from the University of Michigan, Amy left her home state and lived in San Francisco, Boston (while getting her MBA and MA in Jewish Communal Service), and overseas before calling the DC area home. An adventurer at heart, she loves to travel. As an integrative health coach, she spends a lot of time in the kitchen and is always happy to share a recipe or some cooking tips. Amy and her family love spending time outdoors and exploring all that our area has to offer. Amy is passionate about connecting people to each other and looks forward to meeting you and your kiddos! 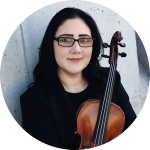 Alexandra Birch (JFA – Takoma Park Silver Spring) Areas Served: Silver Spring, Takoma Park Alexandra Birch is a professional violinist and cultural historian. 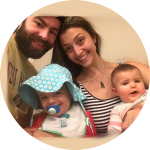 After studying at Arizona State University, where she was involved with the Young Professional Orthodox community in Phoenix and Scottsdale, Alexandra, her husband, and their child relocated to Maryland for work. Alexandra enjoys all things musical, cooking, going for coffee, and spending time with her family. She also has strong connections to the Russian-speaking Jewish community and enjoys learning about all different types of Jewish tradition and experience. Anath Hartmann (JFA – Kensington Silver Spring) Areas Served: Aspen Hill, Burtonsville, Colesville, Kensington, Spencerville, Wheaton Anath Hartmann was born in DC and raised in Montgomery County. She has a background in journalism and public relations and teaches writing at the college level. She has lived in the national capital region all her life and enjoys taking part in the many activities and opportunities the area has to offer. Her hobbies include reading and spending time with her family. She lives with her husband and two children in Bethesda. For questions about the Jewish Family Ambassador initiative, please contact the J Family Programs Director Jennifer Radosh or call 301-348-3848.